Get ready for Halloween with these healthy treats the whole family will love! Halloween doesn’t need to be unhealthy to be fun. Take a break from all the candy and change it up with one of these tasty Halloween treats that won’t wreak havoc on your waistline. Scoop vanilla yogurt about 1/3 of the way up a traditional ice pop mold. Let it set in the freezer. Repeat with the orange juice followed by the pineapple. After the pops have been in the freezer overnight, remove them from the mold and enjoy your festive and refreshing ice pops! Boil your eggs for about 12 minutes. While your eggs cook, slice 6 black olives in half to create the body of the spider. Cut the remaining olives into 8 slivers to make legs. Once the eggs are cooked and cooled, peel them and cut them in half. Remove the yolks and place them in a mixing bowl. Add enough Greek yogurt to the yolks to create a creamy paste. Add salt, pepper, and paprika to taste. Add a couple of drops of red food dye to make the mixture a devilish red. Fill each egg white with the yolk mixture. Once all your eggs are filled, press a halved olive into the yolk and place 4 olive slivers on either side of it to make a spider. Chill or serve at room temperature for a protein packed snack. Peel and cube the potatoes and cut the broccoli into small pieces. Boil the potatoes until fork tender. About 8 minutes before the potatoes are fully cooked, add the broccoli to the boiling water. Finish cooking the vegetables then drain them. Once drained, start mashing the potatoes and broccoli together, adding in the milk and chicken stock until the mixture is smooth and fluffy. Stir in the roasted garlic, salt, and pepper to taste. If you want your potatoes to be greener, add in a few drops of the food dye. Cut small rounds of black olive and press them into slices of string cheese to make eyeballs. Use these “monster eyes” to decorate your ghoulishly green potatoes and you won’t have to watch to make sure your kids are eating their broccoli! 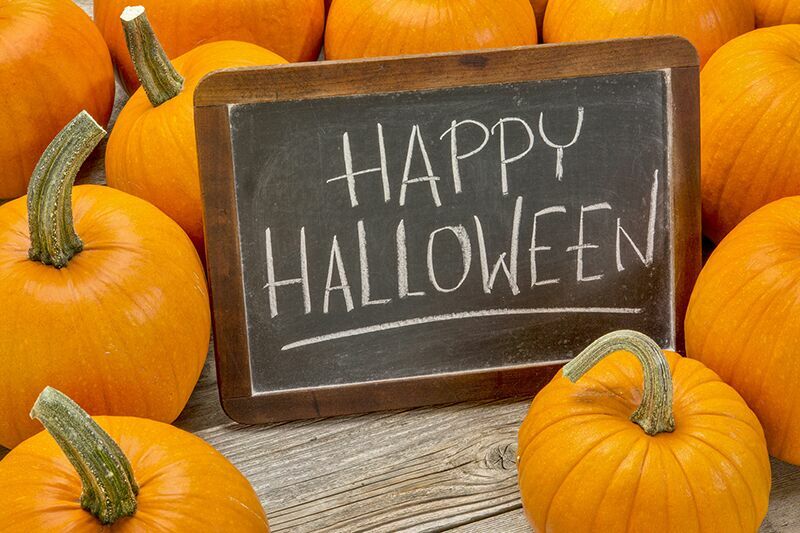 This Halloween, try out these fun and easy recipes to treat your whole family. Remember, another way to keep your family happy and healthy is making sure that they have the coverage they need. Trust the professionals at The Schwab Agency in Colleyville, Texas for the insurance you and your family deserve. Contact us to get covered today!